There is an important information for hromadas: the land once owned by collective agricultural enterprises, that have ceased their operations, becomes the ownership of the hromadas, where it is located. Yesterday, on 10 July, the Verkhovna Rada of Ukraine adopted the Law “On Amendments to Certain Legislative Acts of Ukraine Regarding the Issue of Collective Ownership of Land, Improvement of the Land Use Rules in Agricultural Land Massifs, Prevention of Raidering and Stimulation of Irrigation in Ukraine” (No. 6049). The “Transitional Provisions” of the Law establish that “... from the day the Law of Ukraine “On Amendments to Certain Legislative Acts of Ukraine Regarding the Issue of Collective Ownership of Land, Improvement of the Land Use Rules in Agricultural Land Massifs, Prevention of Raidering and Stimulation of Irrigation in Ukraine” comes into force, the land of collective agricultural enterprises that have ceased their operation (except for the land that was privately owned on the day of enactment of the Law), is considered the ownership of local hromadas, where it is located. The mentioned Law is the basis for state registration of the right of communal ownership to land plots, formed with the land, which, by virtue of the abovementioned Law, passes to communal ownership”. “The legislator transferred the land, owned by the former collective farms, except for the land plots divided into shares, to the ownership of hromadas. This is good news for hromadas – they have received a powerful development resource. Now they need to conduct a thorough inventory of land within and outside their settlements in order to understand which volumes of land resources will be transferred to hromadas’ ownership,” commented Vyacheslav Nehoda, First Deputy Minister of Regional Development, Construction, Housing and Communal Services. Why did the legislator decide it like this? The explanatory note to the Law states that in the collective ownership (the Constitution of Ukraine does not provide for such a form of ownership) there remains a certain part of land divided into shares, but not claimed by their owners for many years (“unclaimed shares”), the right of private ownership to which did not arise. 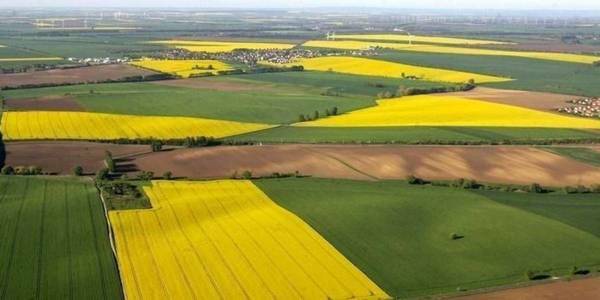 The total area of ​​such land within Ukraine is measured by hundreds of thousands of hectares. Some collective agricultural enterprises were liquidated after division into shares, some were reorganised into enterprises of other organisational and legal form, which according to the current legislation could not be subjects of the right of collective land ownership. There are still some collective agricultural enterprises, which continue to exist as legal entities, but only the very few carry out real economic activity. As a result, the land that formally continues to be collectively owned, in fact, does not have its owner, no land payment comes from it. It is legally impossible to arrange the right to lease it. Such land includes: agricultural land plots not divided between members of collective agricultural enterprises, land under economic buildings and yards, water facilities, project field roads, forest belts and other protective stands, etc. The total amount of such land in Ukraine is estimated at more than one million hectares.